Spectacular mountain and views, ancient monastery, holy shrine – an incomparable place not to be missed! As a general rule, the Boys’ Choir sings from Monday to Friday at 1:00 and on Sundays at 12:00. They do not sing on Saturday. They are on holidays in July. Montserrat is a mountain, a unique Natural Park, a massive rock over 4000 feet high, visible for miles, with weird shapes and rounded peaks that jut into the sky; there are walks, paths, stairs, with caves and hermitages scattered over the mountain, and mysterious rocks and wonderful views. 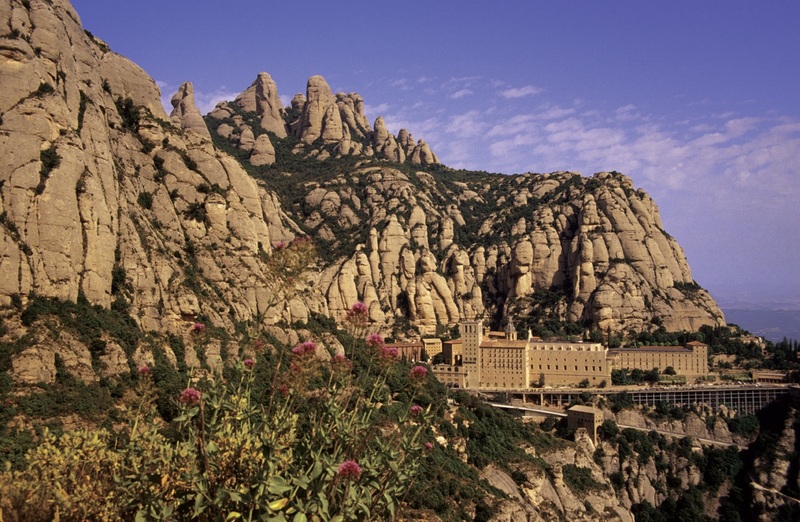 Montserrat is a Benedictine monastery nearly 1000 years old, perched half way up the mountain and sheltered by its peaks. 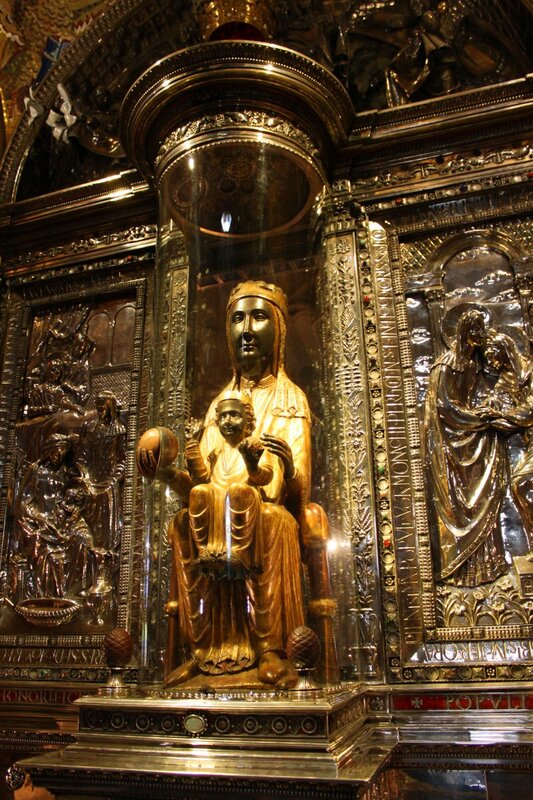 This is the Sanctuary of the Virgin of Montserrat, popularly called the Moreneta as she is black, patron saint of Catalonia and a presence strongly felt and revered. The community of monks also run a boys’ school devoted to the study of music, and a famous choir. The choir is made up of 30 boys, 10 to 14 years old, and considered one of the oldest boys’ choirs in Europe, documented from 1223. Montserrat is culture: a library of nearly 300,000 volumes; the oldest boys’ choir in Europe; a museum with paintings by Greco, Picasso and Dalí among many others and treasures from ancient Egypt including a mummy. 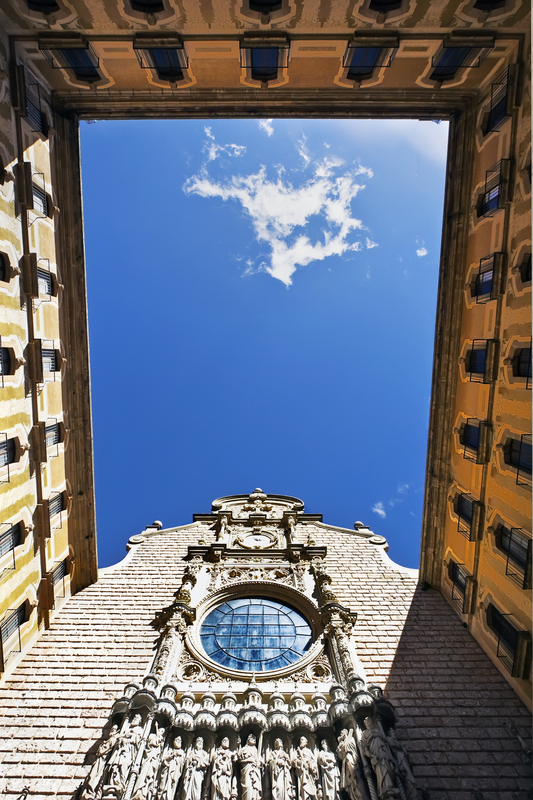 Our Lady’s Chapel, located in the Basilica, is usually open from 8:30 to 10:00 and from 12:00 to 18:30. Irina was our tour guide for all three tours and she did a terrific job of getting us up close to everything. Along the way she explained things in detail. We took the Montserrat, the Picasso, and the Gaudi tours. I would highly recommend the tours and Irina.